Effective resident involvement has a vital role to play in shaping landlord services and delivering co-regulation. 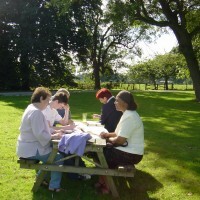 Engage Associates are committed to ensuring outcome focused resident involvement, which improves services for residents. Whether it is advice on your resident involvement structures, developing tenant panel arrangements or providing independent support and training for residents we can help.